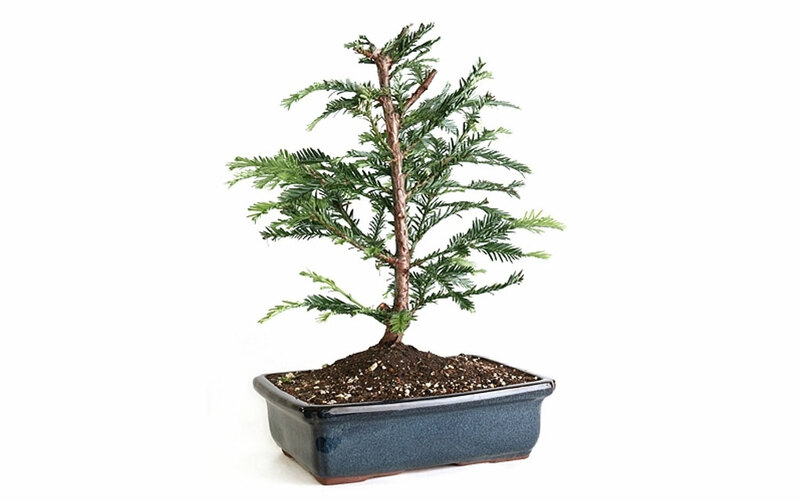 The Coast Redwood or Sequoia Sempervirens is a very popular species for bonsai trees. The long foliage and needles can be trained easily downward with lighter gauge wire making it ideal for beginners. Redwoods are strong, powerful, and sprout consistently on the trunk. These species of tree work well for making a forest style bonsai. Below please see our Coastal Redwood Bonsai Care information. Click here to view our selection of Coast Redwood Bonsai Trees.